Several years ago, pianist Steve Amirault, then based in Montreal, realized that he had a way with a song and as a vocalist could add a new contour to his art. Amirault always impressed with his lyricism and romantic bent, and in his latest CD — 11 lovely ballads, including two originals — we hear how far Amirault, now based on Toronto, has gone in developing this combined art. Just Believe, his opening tune, says it all: “Try to Believe in Yourself,” he chants, in this lovely, loving, tender ballad with integrity shining through the words and piano accompaniment. He follows with Jobin’s delightful Dindi, the ever–popular All of Me and Moon River with his own rhythmic approach, and a tender, but strong God Bless the child. His signature: a quiet pianism and a vocal treatment that speaks from and to the heart. They combine to make this CD an enriching experience. He occasionally changes the timbre by overdubbing with the Melodica, and never fails, in his vocals and accompaniment, to hit that just-right chord. Bye Bye Blackbird, Embraceable You, Lullaby of Birdland, Pennies from Heaven and What a Wonderful World — a songlist and treatment that makes us yearn for Steve to return to his second home in Montreal. Listening to this CD is the next best thing! 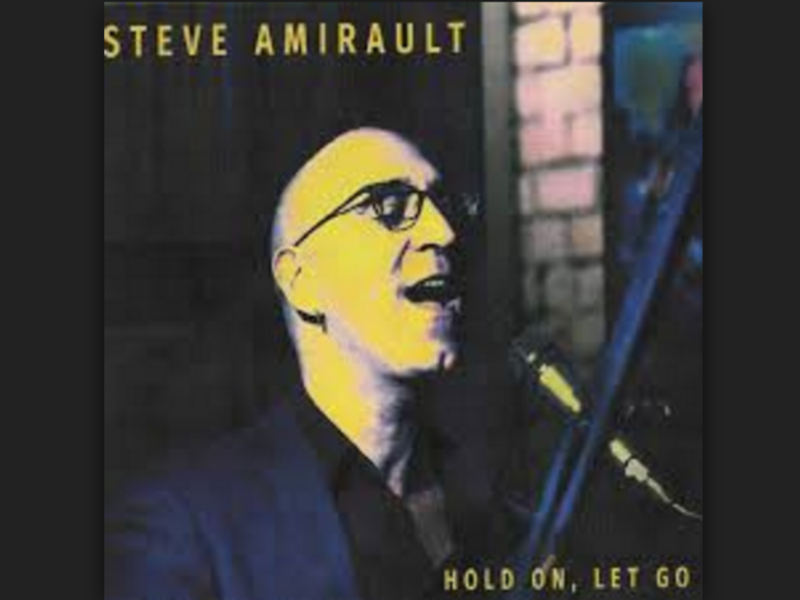 Be the first to comment on "CD review: Steve Amirault: Hold On, Let Go"